ACA trainers and visitor trainees. 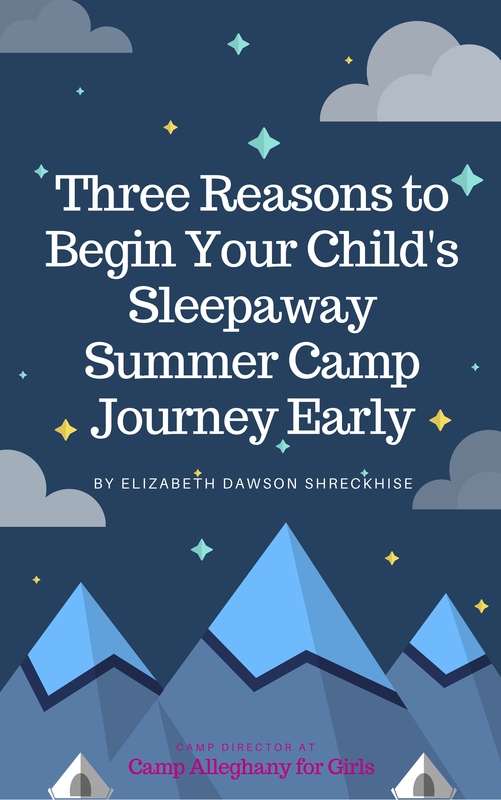 As I wrote in a recent blog, this upcoming summer Camp Alleghany for Girls will be going through our re-acredditation process with the American Camp Association (ACA). We have long been accredited, but periodically (every three years) we must be accredited again, and 2015 is our turn. If you’re interested in all the details of that process, please read the blog post about it, but in summation, to become an ACA accredited camp, you must work to complete over 100 standards, and then your camp is visited by two volunteers from other ACA accredited camps who will see a snapshot of camp in action, and then review your various elements of paperwork from insurance to medical protocol, etc. The visitors take a tour of camp and eat a meal, and during that time they will be able to view many things that aren’t necessarily on paper, OR that they need to see in action even if they ARE on paper (e.g. they need to see that everyone in canoes is wearing life jackets, or that ammunition is stored separately from firearms on the rifle range, etc). They will also ask staff and campers friendly yet inquisitive questions during this time. A camp must pass 80% in each category, but we don’t know how they are weighted, so we just try our best. Sometimes there are non-mandatory standards that camps know they can’t meet, so they knowingly “take a no” as we say. However, there are a set of mandatory standards that MUST be passed in order to be accredited, so you can’t “take a no” on those — and if you don’t pass one, you don’t pass the entire accreditation process. For our level camp, we have 27 mandatory standards to pass ( there are more, but they apply to things we don’t have, like horse back riding). This isn’t scary, but it is daunting, so we are in full on prep mode at Camp Alleghany, including my doing separate training to become an ACA Visitor myself. 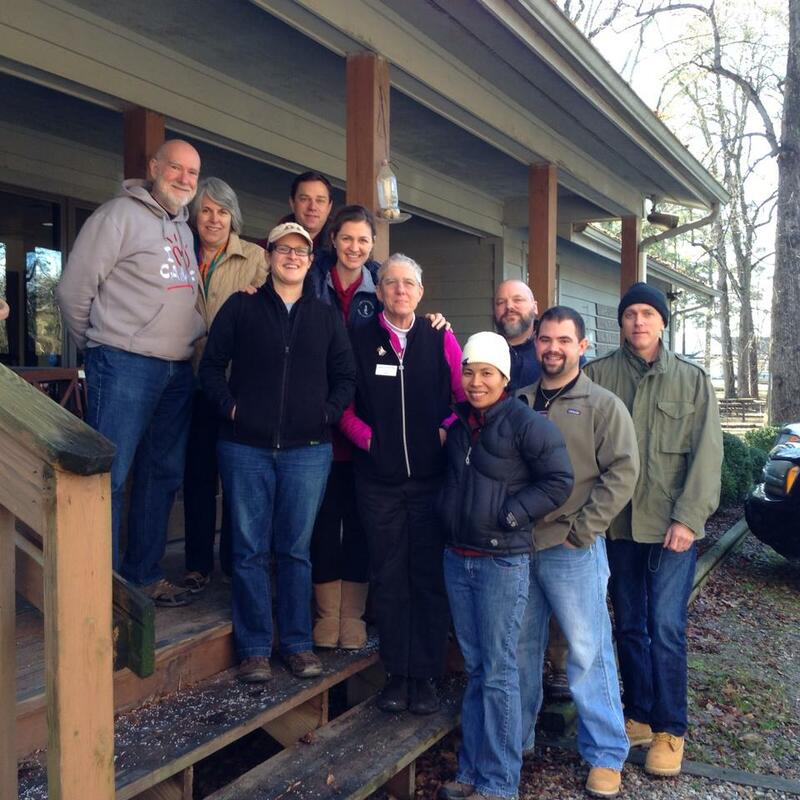 If you’re wondering who visits the camps well, it’s people just like us — other camp directors! My dad Sam Dawson has been a visitor since 1986, and each summer visits at least one camp with another visitor — two camp professionalss from two different camps go together for a visit. I’ve been trying to get the training for about five years now, and it finally worked out to do it this year. I am very excited to have gone through this at last because any further training I get, and insight I realize relative to the professional camp world, just strengthens our position as a camp even more while providing fodder for my ideas about Camp Alleghany in particular. The way the process works for new visitors is that you start as an Associate Visitor, and then after a number of visits as the associate, you have the opportunity to move up to a Lead Visitor. If there is any question or disagreement about whether or not a camp passes a standard, the lead visitor has the final say because he or she naturally has the most experience with on-site accreditation visits. My recent ACA Visitor Training Course was about a day and a half and pretty demanding (in a good way). We began at 10am on Thursday morning and worked until about 9pm that night, then started again around 8:30am Friday and finished just after lunch. Thursday was mostly classroom type work with discussion about what it means to be a visitor, defining specific accreditation standards, talking about our role as visitors, what to do and not to do, etc. Then on Friday we had to perform a mock visit! There’s nothing like role playing to get information down into your bones! The whole course took place at an actual camp, the Jamestown 4-H Educational Center, so we used the campus for our mock visit. We were divided into teams of two, and were given a schedule to follow. The people training us were set up at stations: 1) waterfront, 2) kitchen, 3) ropes course, and 4) “maintenance area” with a camp vehicle. We would-be ACA Visitors had to ask questions of each person at each station to get an idea of how things were set up and how things ran. The trainers, trying to keep us on our toes, definitely planted some things for us to catch! (E.g. they put a thing of Clorox in where the food is stored — which is a huge no-no — to see if anyone would catch that). Then we all came back and practiced the sit-down paperwork part of the visit. It was a huge learning experience, and the things I missed/forgot to ask during the mock visit will stand out in my mind forever now — I won’t forget those things come the real deal! There are many reasons that I wanted to be an official ACA Visitor. First, I want as much familiarity with the ACA accreditation standards as possible. As I mentioned, Alleghany is getting visited this summer, and this seemed like a great time to get this training and immerse myself in the standards. Being a visitor is also a wonderful way to volunteer within the ACA local chapters, keeping me in touch with local camp professional peers and active in our regional camp structure. 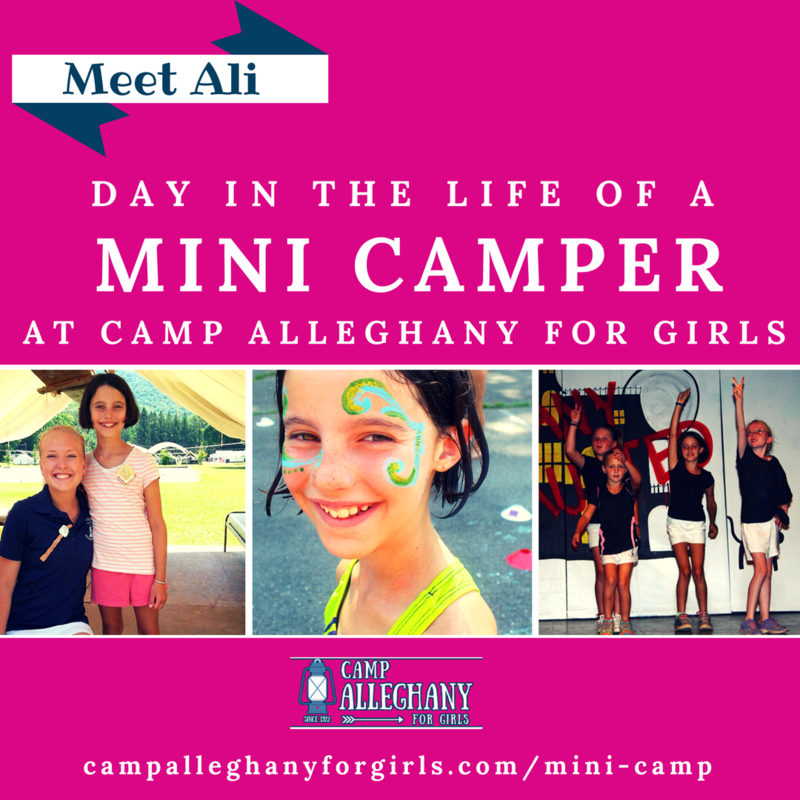 And finally — I can’t wait to see other camps! Visitors talk about sharing ideas, seeing something at another camp and asking about it, then taking that idea to their own camp — the networking part is great. In fact I clearly remember some of our visitors asking to take pictures of certain areas of our camp because they liked the way it was set up or laid out and we were happy to share that with them. It’s wonderful to brainstorm about camp, new ideas, development, and trying new things, but when you see it in action it is even more powerful, so this aspect is very exciting to me. I had a great time in my training, learned a lot, (passed my tests of course), met new people and got a lot closer to my various colleagues at other camps and at the ACA. In true “camp fashion” we easily bonded over the course of just a couple days :). I look forward to seeing them all again at future professional development events and continuing my involvement with the ACA.